Shop Sears Brands for the Holidays plus $100 Gift Card Giveaway! Christmas came a little early for us this year when Sears offered to send me a gift card to shop at their stores as well as one to giveaway. Sears exclusively carries a number of quality, budget-friendly brands that are perfect for holiday shopping lists. 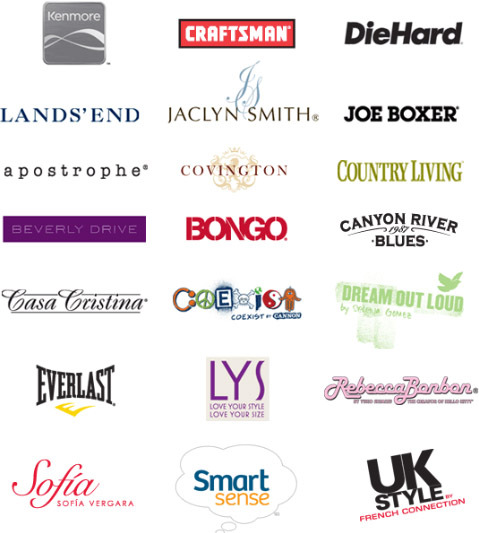 When I think of Sears brands, Craftsman, Kenmore and Lands' End are the names that immediately come to mind. I was unaware of some of their other exclusive brands like Apostrophe and Sofia Vergara, who offer stylish women's clothing. From the moment I found out about the $200 gift card, I have been thinking about what I might buy with it. With the long list of exclusive brands shown above, I have lots and lots of options. The question is, do I buy a few smaller items or do I use it towards the purchase a single big ticket item? I have put together a wishlist that has a few things from clothing to appliances. My husband is a very loyal Craftsman tool user. All of his tools, including power tools, are Craftsman and he will not use anything else. And he is not alone as Craftsman is ranked by men as the No. 1 brand in America for overall quality. So I thought it might be nice to get him a power tool that he needs to put under the tree. With the freak October snowstorm we had this year, a lot of huge tree branches came down on our property. There are even some snapped branches dangling from trees in our front yard. It looks like one tree we will have to cut down completely. My husband realized that it would be a good idea for him to have a chainsaw to cut down the branches and trees and then cut them up to drag into the woods. 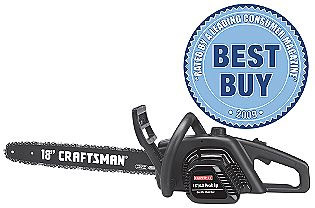 He has been eyeballing one like this Craftsman 4 hp 18" Electric Chain Saw which is on sale for $99 online. If I was to get this for him this Christmas he would be thrilled! I hardly ever buy anything for myself since having kids. However I did recently receive some cute, dressier outfits to wear and I am in need of something nice to wear over them. 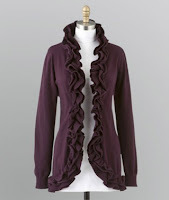 I love the design of this Apostrophe Women's Ruffle-Trim Cardigan currently on sale for just $19.99. This cardigan is regularly priced at $50.00 so this is a great deal. In addition to purple it also comes in heather, black and sand. As much as I love the purple color, I've added the black one to my wishlist. Black is just more versatile and will go with all of my new outfits. I of course have to add something for the boys onto my Sears wishlist. This Christmas I may have gone a little crazy with the toy and video game purchases. In fact, I have not bought them a single item of clothing, which is not typical for me. My oldest could certainly use some pajamas and the Joe Boxer brand has some cute sets at low prices. He has shown a fascination with army related things lately. Just the other day we were eating dinner at a Chipotle and a group of soldiers in army fatigues walked in. He could not take his eyes off of them. 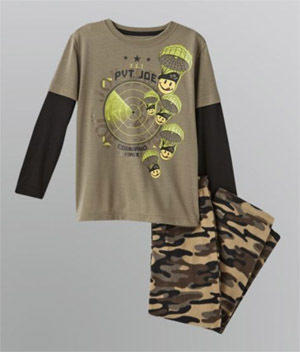 So I thought this camouflage style Joe Boxer Boy's 2-Piece Mock Layer Shirt and Pant Pajama Set would be great for him. Then I thought, maybe the best thing to do with the gift card would be to use it towards a purchase for the house, which in reality is for me too. Our dishwasher has not worked well in years. Once I became a stay at home mom back in 2007, it suddenly stopped getting the dishes clean. Often times things come out dirty and have to be rewashed. And forget glasses, they never come clean at all. I am sure a large part of the issue is our hard well water. But I also think that our dishwasher just can't handle the increased usage as it gets run at a minimum of twice a day. I have been dreaming of getting a new dishwasher for years, but since the current one technically still works, my husband has denied that wish. We have a Kenmore refrigerator that we have been very happy with and I have been looking at their dishwashers the past few nights. Kenmore is the number one player in the appliance industry and more people buy Kenmore than any other brand. Couple that with our past experiences and I feel good about buying their appliances going forward. 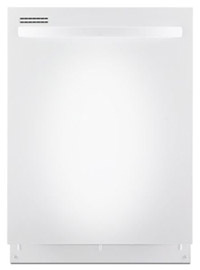 The Kenmore line has several dishwashers in the $400 range, like this Kenmore 24" Built-In Dishwasher. While $400 is not chump change, it is certainly more affordable than some of the higher end models. The gift card obviously doesn't cover the entire cost, but it certainly makes it more affordable for us. Now I just need to convince my hubby that this is the way to go. Having a more efficient dishwasher will certainly save us money in the long run. Now that I have my wishlist and some ideas of what I would like, I just need to sit down with my husband to make a final decision on what we should buy with our gift card. Ultimately it will probably come down to a battle of the Craftsman Chainsaw versus the Kenmore Dishwasher. I'll have to keep you posted on who emerges victorious. Who are you rooting for? What are some of your favorite Sears brands? One (1) winner will receive a $100 Sears gift card that may be redeemed in store or online. Please use Rafflecopter entry form below. This giveaway is open to legal residents of the United States, 18+ only and will end on December 22 at 12:01am EST. No P.O. Boxes. One winner will be chosen at random using Rafflecopter and will be posted on the Winner's Announcement Page. Winner has 48 hours to claim his/her prize otherwise a new winner will be picked. Please allow 6-8 weeks for delivery. Prize fulfillment is the responsibility of the sponsoring company. This blog and its author are not responsible for giveaway prizes that are lost in transit or damaged. This blog is also not responsible if a sponsor/company does not send prize(s). Naturally, I will communicate with said company(s) several times, and make every effort to resolve the issue. Good luck! I received a Sears gift card in exchange for this post. All thoughts and opinions are my own. 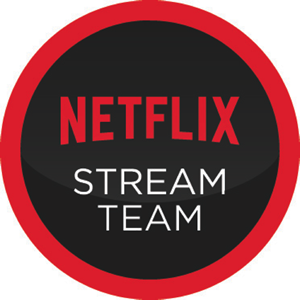 Contains some affiliate links. I would get winter coats for the kids. So many choices! I'd probably get a new PS3 game for my daughters... and then check out their holiday seasonal merchandise! I would buy gifts for the family. I would buy things for my kitchen, like a new knife set. I'd buy my husband some jeans. I need a refrigerator mine is shot. Thanks for the chance. We need a dishwasher, so we'd buy that. My husband would love a new trimmer and I love that Land's End clothes are sold at Sears so I would buy some of those. We are doing some home improvements and this would come in very handy for that. Paint, faucets, any number of things. Thanks so much for the chance! I would buy some nice new clothes! I'd use it to buy things for my hubby--tools, clothes, etc. I would buy my husband some tools!! I would buy my mother a new pair of dress shoes for her new job. I would buy my husband a craftsman tool or two. Right now he's looking for a Dremel kit. I would buy shoes! Thanks! If I won, I would buy clothes for my husband. I would probably put it toward a rechargeable electric lawnmower. I am going to selfish and say i would get some new undergarments. If I won, I would buy my husband a cordless drill. We've been looking for a 24" electric stove and sears has a few models we're interested in! I'm looking for an exercise bike for my boyfriend! I would buy some winter clothes for my kids! I'd buy pajamas for the kids. If I won I would buy some wonderful Christmas presents for my family. I would buy a peacoat for myself! I'd love to get a blu-ray player from Sears with the gift card - thanks! We would use it for new bedding, but my wife will pick out which pattern I like. I'd get a new toaster oven or coffee maker. Nikon COOLPIX S3100 Yellow for Mom. We'd get a new lawnmower. I would give it to my husband so he can get new tires on his car..thank you!! I would buy a few Christmas gifts for my daughter. I would get some new clothes for my family. I'd buy some lamps for my bedroom. I'd get boots for me and my daughter and a toaster too! I would buy a dress or two. Thanks. I would buy my kids some snowsuits... they're going to need them soon! if i won, i'd let my dad use it for new tools or some new clothes. I would buy my husband some tools. LOL! When I moved from Houston to Denver, a friend took pity and handed down a winter coat (THANK YOU, FRIEND! )Now it is time to go ahead a buy a coat for myself. I would get sheets, a comforter and new towels for visiting family. I would buy a heavy duty weed wacker for the yard! I'd buy a new sweater or two ヅ *Thanks* for the giveaway! I'd buy a garage door opener or a winter coat. I'd buy a couple of sweaters and scarves. I'm due with my 3rd child in Feb & there are still some essentials we need, I'd definitely use it to buy those! I would buy a new outfit. This would go for new winter boots! i would love to buy my daughter some new clothes!! I would use it towards getting us a new tv. I would get a winter coat for my daughter. I would buy some new clothes for myself since I lost weight. I'd purchase clothing for myself - maybe a new spring outfit. I'd buy a bike for more exercise. There wasn't a place to put my Google + name. Great giveaway, I love Sears! I need some winter boots. I would like to get some shelves or organizing materials for my house since its really needs it to help be clean. I would buy boots for myself (love their Wear.Ever boots) and some clothes for the kids! Google+ name is April Gilbertson. i would buy me and my fiance some new clothes! Not very exciting, but I'd use the g.c. to buy underwear. I would give it to my Dad. It would make the perfect Christmas present. He loves tools more than anything and only buys from Sears! I would purchase Craftsman tools for my husband. I'd buy a new pair of winter boots for my son. I would buy clothes for my Grand Kids. 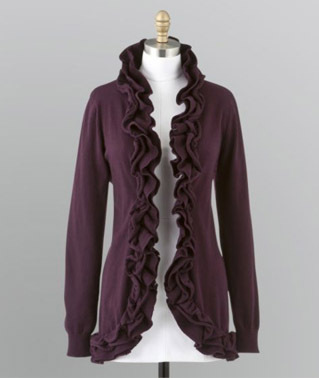 I would buy the Ruffled Sweater you featured and a couple of the other sweaters I saw when I clicked your link to Sears. They have some beauties at a great price! I would use the card itself as a Christmas gift to one of my grandchildren, so have no real idea what they might buy. I would buy some power tools for my husband! I would buy my husband some Craftsman tools. I would give it to my AMAZING Hubby and let him buy a new saw that he reeeeally wants! I hope I win!! i would buy tons of essie naipolish! I would buy water filters for my GE Profile fridge! I would love to have a keurig coffee pot. thank you! I really need some new walking shoes - that's what I would get! Dishwashers are very much a pain! If you have the option, use a rinse agent in yours if you have hard water - it helps. I'd have to vote for the washer because the chainsaw just wouldn't get as much use. We could really use use a new refrigerator and I love Kenmore. I would use this towards a new tv. The one I have is getting pretty old and I've been wanting a flat screen. Thanks! I would buy a non stick skillet! I would buy my daughter a new coat and some jeans. I would buy pajamas and some clothes for the spring for my kids if I won. I would let my husband pick out some tools! I'd get a new lamp. I would get my 2 babies some clothes! I would buy some new linens. I would put it towards a pasta maker attachment for my mixer. I would buy my boyfriend some new Craftsman tools to work on our racecars. We are both circle track stock car drivers. He's been in need of some new tools but we can't afford them right now. I want to buy a new phone. Thank you for this chance to win. I would buy a new battery for my husband's drill! We Love Craftsman tools, Kenmore Brand applicances and apostrophe...will use the card to buy something special for a needy person. thanks! I might choose a new toaster oven - badly needed. I would buy a new camera! I really need new towels for the bathroom. I would buy new work clothes! I would get a new toaster oven! I would buy some new sheets and pillows if I won. I would probably use it to get my husband some new tools! My husband would want to buy tools of course. I'd probaly buy me a nice pair of boots. I would buy new towels and bathroom rugs! Zestywonderland is my username on everything! I want to buy a New Coffee Maker with a stainless steel carfee!